Although his book was published some years ago, I only recently got round to reading it and regret it took me so long. First let me declare my interests. I have quite a lot in common with Peter King. We were both born at the beginning of World War II, brought up in humdrum family circumstances in the South London/Surrey region. We have both been troubled by addiction problems over the years although Peter massively more so than myself. We both made our own faltering attempts to copy the music of our jazz heroes by listening and copying in the days when jazz tuition was rare and college courses were never even contemplated. The resemblances end, of course, with the fact that Peter went on to become a world-class jazz saxophonist and I pottered about in an enjoyable role as a run-of-the-mill, semi-professional, mainstream pianist. 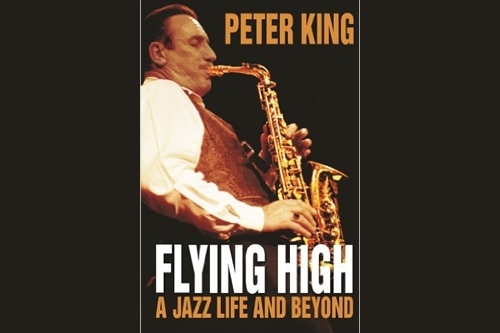 Enough, and now on to the real interest - alto saxophonist and renowned aero-modeller, Peter King. His life has been one of great extremes - an immense musical talent which unfortunately led into a downward spiral of chronic narcotic addiction which he courageously recounts. A travel phobia and a disastrous early marriage to Joy, were other ordeals he suffered. 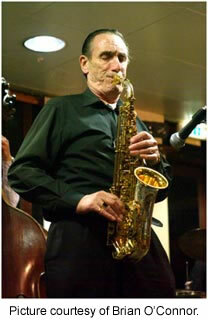 Like most sax players Peter started with a simple system clarinet after being bowled over as a teenager by the grossly distorted Hollywood biopic, The Benny Goodman Story. Well, everyone starts somewhere and Peter kicked off in a South London pub, sitting in with a dixieland outfit and playing Ice Cream in Bb, a tune he didn’t know, but he received an encouraging reception. He progressed by being shown “hieroglyphics” by the banjo player. These were, of course, chord symbols. Peter’s Damascene revelation, like so many modern jazz musicians was hearing Charlie Parker. The experience blew his mind and from then on, listening to the top players of the day, he acquired an alto sax and progressed to actually playing with top names like Don Rendell, Jimmy Skidmore, Harry Klein, etc. 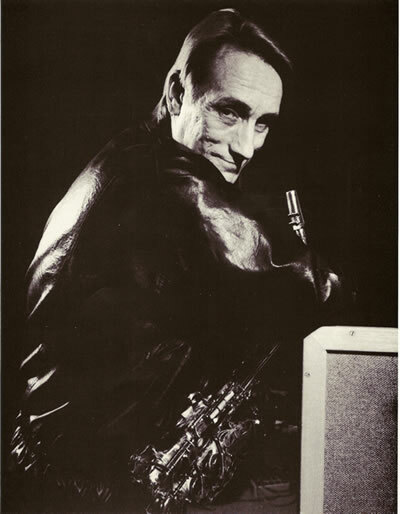 The real acid test came when he shared the stand with Tubby Hayes, at the time the acknowledged “guv’nor” on the British scene. Little was said by Tubby but later Peter heard that the Great Man had been favourably impressed. Another rite of passage had been negotiated and, one could say that the crowning point of his youthful apprenticeship while still a teenager, was to be invited to open a new venture, Ronnie Scott’s Club, in October 1959. Peter, like some others of the jazz fraternity, was introduced to taking a “joint”, which he thoroughly enjoyed. Unfortunately that was to lead to one of the most calamitous aspects of his life. He was becoming well known to all the top British musicians. Playing regularly at Ronnie’s and hearing the procession of US visitors, usually sax players, broadened his style and technique. A spell in John Dankworth’s big band felt to him like a final year at university where he gained lots of experience in sight-reading and section playing. In 1961, another high spot in the King early days was hearing one of his great heroes, pianist Bud Powell, at a German jazz festival. Bud had a history of deep mental illness and frightened off many gestures of friendship with offensive and odd behaviour. Unfortunately an enjoyable “joint” progressed to a full-blown heroin habit and much of his early life was occupied with finding dealers or doctors who would prescribe narcotics to registered addicts. The dreadful withdrawal symptoms which users experience became a fearsome event. The drug habit persisted for many years although with such a massive talent he still produced sublime music although like many top-class players he had to supplement meagre gig money with more mundane work to pay the bills. Fortunately, his later marriage to Linda helped him through the many years of addiction and he attributes both his survival and success as a musician very much to her love and support. He was desolated by her death a few years ago. There are some fascinating jazz anecdotes contained in the book. One of his heroes, Ben Webster, who thought nothing of drinking three bottles of the hard stuff a day, alternating gin, whisky and vodka, was entertained at Peter’s parents’ place in Tolworth. Ben was treated to a traditional English roast dinner and was lost in gratitude. On holiday in Majorca, Peter and Linda frequented a bar where Ron Rubin played solo piano. Another piano player, an American called Art Simmons used to come and play a bit as well. One night Linda, who had been a fair singer in the past, was persuaded to take the stand and sang a few tunes accompanied by Art who loved her voice. She nearly fainted when they told her that Art had been Billie Holiday’s accompanist. On another occasion, a promoter with strange taste had booked Peter and former Charlie Parker trumpet man, Red Rodney, for a gig. The piano player turned out to be Art Hodes, a fine musician but more of a boogie expert. They all bit their lips like real pros and did the job playing 12-bar blues. Looking back over a long career there so many great achievements in the King story. In 2003 he finished many years of hard work writing an opera Zyklon, in collaboration with writer Julian Barry, based on the life of the Jewish scientist Fritz Haber who unknowingly helped invent the substance used for the mass murder of his own people by the Nazis (650 pages of fully orchestrated score). Ironically the premiere was in New York where as a young hopeful he had hoped to establish his name as a jazz musician not as an opera composer. He has played all over the world and received a Lifetime Achievement Award in Russia, an honour not observed in his own country. Peter also had the honour of playing Bird’s plastic Grafton alto in a Kansas City celebration. My own interest in Peter King commenced one Saturday night in the Bull’s Head, Barnes, many years ago. I had heard this British alto player in various media but never live. He took the stand and launched into one of his favourite Wayne Shorter tunes, Yes Or No. With his regular drummer and pianist, Steve Keogh and Steve Melling, in full chase behind him, I could hardly believe my ears. In my long life playing and listening to top jazz performers, American, British and other, this was something very special - the searing tone, the impeccable technique and the endless flow of ideas. I knew nothing of Peter’s addiction at that time and I am sure he had been clean for a long while but his gaunt, sad face bore the signs of a harrowing past. It was an evening of pure joy and I repeated my visit to Barnes whenever I could and I can only thank Peter King for the immense pleasure he has given me and many others over decades of listening. Many autobiographical works often contain score-settling elements. But there is an almost total absence of these and Peter is continually surprised at the “niceness” of people he encounters - sometimes characters with reputations of being temperamental or difficult. Perhaps it hasn’t occurred to him that being such an obviously nice man himself, even the most mean-spirited human being could only reciprocate in kind? This review only scratches the surface of an immensely interesting and enjoyable read and I would urge anyone who loves music - from Bartok (Peter’s favourite “straight” composer) to Bird - to buy it.